The stories of Jesus’ love and other teachings provide the foundation for Children & Youth Christian Education at CMCL. It is the spirit and context of the biblical stories that invite our children to understand how God is present in the context of their lives. We meet them where they are; teaching, sharing and demonstrating love and compassion. Each Sunday, CMCL kids gather to have fun with each other, explore and express how they see God working in their world. Peace School is a three evening summer program focused on teaching children how to be peacemakers. The theme for 2017 is Peace Heroes. Date and time is June 20-22, 6-8 pm each evening. Download an application form and send or deliver to CMCL Church Office, 332 W. Orange St., Lancaster, PA 17603. Our nursery, “The Fishbowl” is a comfortable and caring environment for the youngest of our congregation to listen to stories of God’s love. Committed parents and volunteers share their time playing, reading, and engaging as a way of letting little ones know how valued and important they are. Provides a nurturing time for preschoolers to learn they are known and loved by God. Each week, volunteers weave play and guidance into a bible story and lesson. This important transition time allows for consistent connection with caring volunteer teachers and provides gentle growth and learning of Jesus and the world around them. The messages and stories of Jesus and the bible are introduced in an interactive way through the Rotation Workshop Model. 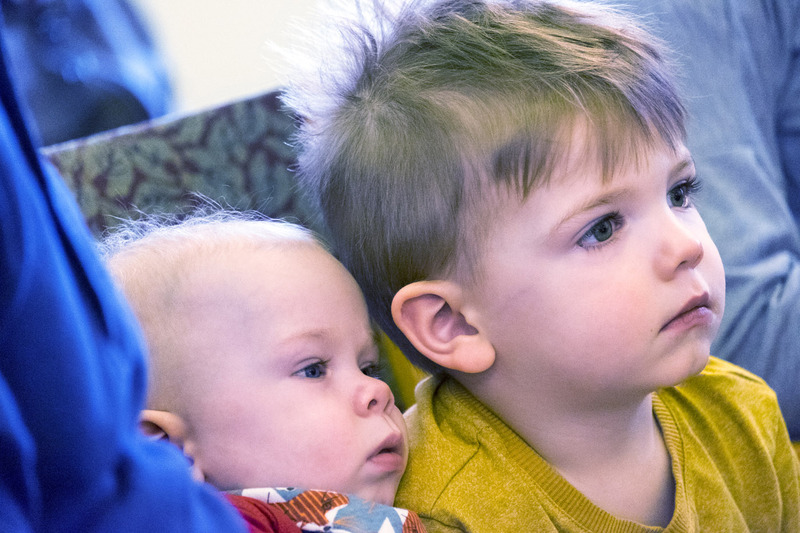 Children respond and engage with the biblical story of the week by quietly rotating from one room where the story is shared to other rooms for a hands-on activity or group reflection. Elementary kids are guided through thoughtful exploration of how we are all God’s children. The teachings of Jesus’ love and biblical messages are brought to life through reflection and relevance in this diverse age group. Experiencing Jesus’ love in their own lives is central. Whether it be through the building of a healthy peer group or by acknowledging the need for tolerance and acceptance and respect for others, CMCL’s middle schoolers begin to connect the dots between biblical stories and their growing awareness of themselves and the world in which they interact. A time and place for youth to feel safe discussing how faith and values are formed, and what impact they may have on life’s daily choices. Biblical concepts are discussed more in-depth, and questions are always welcome. It is a time to shape beliefs and discuss issues including one’s faith, tolerance and acceptance, social justice and advocacy to name a few. Senior youth are encouraged to develop their own faith, share their experiences and be open to listening to others.